Dubai, UAE, January 29, 2019: Turkish Airlines has announced another milestone in its international expansion with the launch of direct flights between Sharjah and its Istanbul hub. 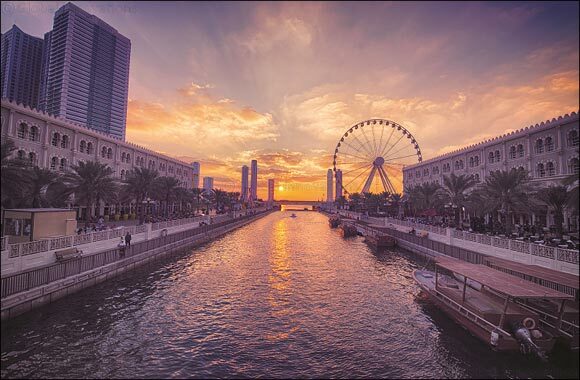 With existing services from Dubai International Airport, Al Maktoum International Airport (cargo flights), and Abu Dhabi International Airport, Turkish Airlines’ new Sharjah route marks its fourth destination into the UAE. Turkish Airlines started its journey into the UAE more than 38 years ago with the first flights operating to/from Abu Dhabi since 1981. The first Turkish Airlines flight to/from Dubai inaugurated over 36 years ago. Flights from Sharjah International Airport will be operated 7 times a week in both directions, with the inaugural flight departing on April 5th, 2019. Customers can book a ticket from Sharjah to Istanbul for a price as low as 999 AED for economy and 5,999 AED for business class, flights from Sharjah to Europe for prices starting from 1,500 AED, or to the Americas for prices starting from 2,600 AED if the booking is made before 31st of March, for trips until 3rd of July. All passengers booking a flight from Sharjah International Airport in February, with the departure in April, will earn 1,000 miles for each ticket. The new route bolsters Turkish Airlines status as the airline that flies to the most destinations in the world, strengthening its identity as a leading global airline with one of the youngest and most modern fleets in the world. The flight carrier now serves a total of 306 destinations across 124 countries, including recently announced routes to Lusaka, and Banjul.